If you’re the parent of a child with medical issues, you know how important it is to stay vigilant. You create a safe environment, making your inner circle of friends and family aware of your child’s needs so they are always protected from harm. But what happens when your child leaves the home and the unthinkable happens? Allison Rose Suhy was a beautiful and active girl. Nothing stood in her way growing up, including her severe allergy to peanuts. 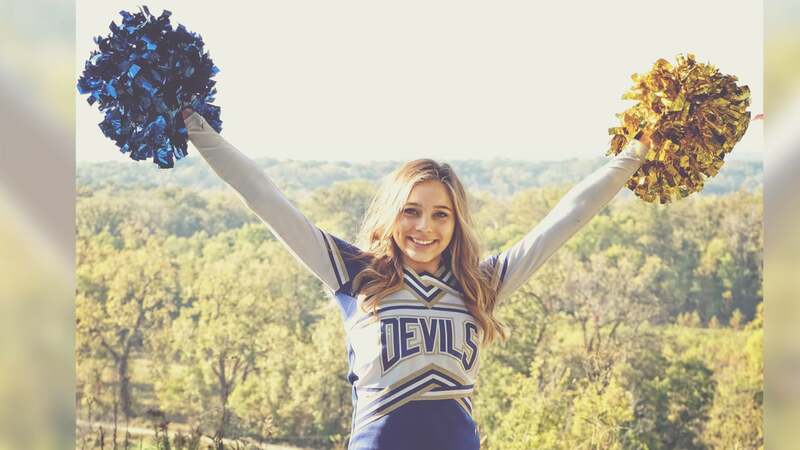 As a child, Allison’s parents made sure everyone around her knew of her allergy and how to treat any symptoms she may have in case of accidental contact with this allergen. She had a few exposures here and there, but symptoms were always kept under control with a dose of antihistamine. They kept an EpiPen close by and did everything they could to keep her safe. In the fall of 2017, Allison started as a freshman at the University of Ohio. She loved college and was settled in when her dad, Michael, came for a parents’ weekend. That night after returning home, he got a call that no parent ever wants to receive. Allison was experiencing severe anaphylactic shock because she had accidentally eaten something contaminated with peanuts on her break. How could this happen to a responsible 17 or 18-year-old on the brink of adulthood who had lived with this severe allergy her entire life? She knew what to avoid and how to read labels. But Allison’s parents think there was one vital thing they forgot when their child went to college. “We never thought, ‘Boy, you’re leaving this safety net, this cocoon, we need to arm you with some education and talking points.’ It never crossed our mind to do that, because she was 17, 18 years old; she could read a label,” said Allison’s dad, Michael, according to Today. No one had thought much about Allison’s food allergy being a problem when she went away to school. After all, she was learning to be self-sufficient and independent – on the journey into adulthood. But what the Suhys didn’t think of is that they should have made a point of talking to people at the university to make them aware of the dangerous allergy. And they believe they should have reminded Allison to do so, as well. “We didn’t realize that you should talk to your roommate; you should tell them you have an EpiPen and where it is. You should talk to your Resident Advisor. We never thought to do that,” Michael commented. Allergic anaphylactic shock is the cause of 200,000 visits to the ER each year, and at least 100 children die annually from food allergies. The main culprit is peanuts. Five Americans die every day from anaphylactic reactions that don’t just involve foods, but also medications and insect bites like bee stings. Many times, a death can be prevented if everyone in the person’s environment is given a brief summary of how to use an EpiPen, what symptoms to look for, and how to help keep the environment allergen-free when someone has these life-threatening allergies. This can be in the school, workplace, friend’s home, or anywhere an adult or child visits on a regular basis. The Suhys had done all of this when Allison was a child but thought she would be fine when she went to school. Unfortunately, even an experienced adult can become immobilized when suffering anaphylactic shock – someone they are with should always know what to do in case severe symptoms occur. The Suhys created the Allison Rose Foundation following her death, with the specific goal of educating teens and college students on how to stay safe and prevent reactions when away from home. The Foundation has started these advocacy and education initiatives in many schools, colleges, and public community groups dealing with young people to help them – and their families – understand how to stay safe. It will also provide an annual scholarship for a graduating senior at Allison’s high school that will enable them to be a spokesperson for food allergy safety on their own college campus. “We want them to know you can still live a normal life, but wherever you’re going to be, you are going to have to re-educate those around you so you can be safe,” Michael Suhy told Today. The Suhys pray that their mission to educate parents and young people about the dangers of food allergies can save lives. They never want another parent to go through the same suffering they are – especially when the tragedy can be prevented. Allergic Child shares some important tips for parents and notes that education and communication should start early with every child. It seems to me that education and awareness are the footwork that is available to us all. Telling family members, friends, teachers, etc., about [kids’] food allergies is necessary so that they realize what they eat could potentially impact [them]. They note that children first need to be their own advocates – especially at school. This includes not sitting next to someone who is eating a food they are allergic to, and not eating anything not packed from home. All classmates and teachers should know what symptoms to look for and how to get help. An EpiPen or other medication should be readily available with the nurse – and other staff members should receive training on using it. Allergy alert bracelets are also a good idea in case a child is on a field trip or unexpectedly separated from friends or family. And a side note for young adults and adults alike: Physicians say that life-threatening anaphylaxis can occur when you are kissed by someone – even on the cheek – who has eaten your trigger food. This reinforces the need to have your teen or college student know that everyone around them must be a part of the effort to keep them safe. Does your child or teen have food allergies? What do you do to educate them and others on how to stay safe away from home?